I had been on the lookout for a new phone and came across this AT&T Cordless Phone. 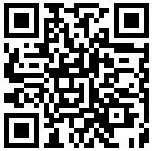 This phone had everything plus more that I was looking for as far as features go. 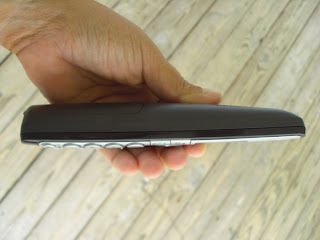 The AT&T DECT 6.0 CL82209 has work great for my family ! We have used this phone for about one month and we all like it. I really like the dual handsets. It's nice to have one in the living room and one in the kitchen and only needing to use one phone jack. This phone is super easy to use. it was very easy to program the phone numbers and set up everything. I was very pleased when I realized that this only had to be done on one phone and it automatically is saved on the other. The last phone I has I hated that I had to program both phones. I really like the orange back light it makes the screen very easy to read the caller ID etc. the numbers light up also which makes dialing in low light simple. This phone has a fantastic range. We have a large yard and now I do not have to worry about walking around with my son outside and missing or dropping a call. I have even walked to my neighbors and my phone has worked there, unlike my old phone. I really like the speakerphone option on this phone. Both of the handsets have th is feature and it comes in very handy. With a almost 3 year old there seem to always be surprises around every corner and a lot of those need both of my hands free. I like the size of the phone, it is very lightweight and thin. I like when I am outdoors or doing something around the house I can slip it in my back pocket with no problem unlike my old heavier bulky phone. The price is very affordable. At the AT&T store, it is priced at only $59.95 which is great considering it's like you are getting two phones. I feel overall that this is a GREAT phone at a GREAT price! It has done well with our family and is super easy to use. 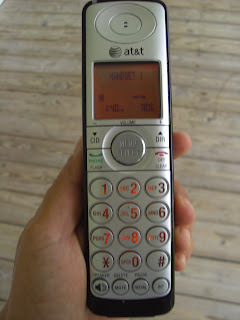 If you are looking for a phone , I would recommend the AT&T CL82209 series cordless phone. Sounds super! I totally need a new phone. I dropped mine in the sink! This looks like an awesome phone for the price. Thanks for sharing. Great review. My mom has this phone and loves it. She ordered it from Amazon for $52.35 and free shipping. I hinted she could order another one for me for my birthday. She has selective hearing.